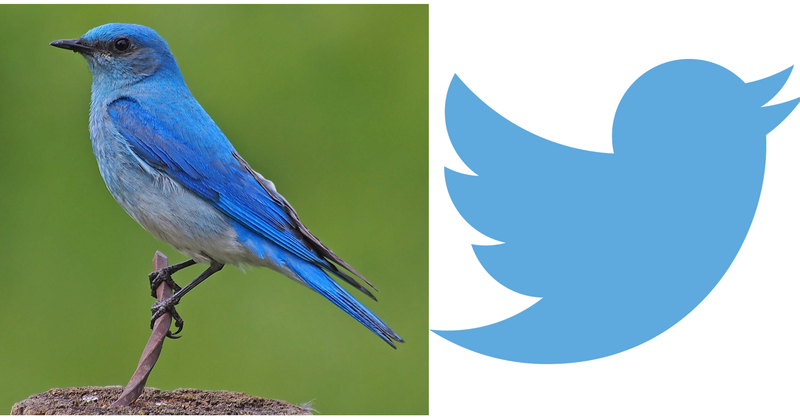 The Twitter logo is ubiquitous and familiar to millions of users, but the bird it is based on is relatively little known. Let me introduce you to the Mountain Bluebird, a species that Henry David Thoreau once noted, “carries the sky on his back”. This stunning bird breeds in the grasslands of Canada during our summer before migrating southward to spend our winter in the southwestern U.S. and northern Mexico. Above left, Mountain Bluebird perched on a fencepost near his nest in central Alberta, Canada (photo Myrna Pearman) and right, this silhouette needs no introduction, but is based on Mountain Bluebird. But while the Twitter bird population continues to grow and proliferate with every Tweet, the Mountain Bluebird is steadily declining for mysterious reasons across much of its range. Birds that inhabit grasslands are suffering some of the steepest population declines of any group of bird (State of Canada’s Birds 2012). One major barrier for understanding and mitigating these declines is that we do not know exactly where birds go after they stop tweeting at their breeding sites. 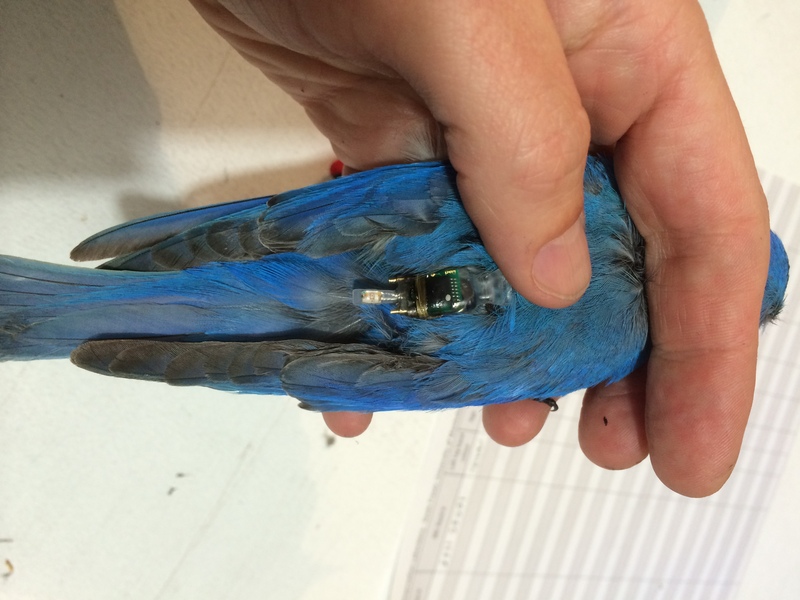 Enter new technology that allows us to track the migration of small birds. Some Mountain Bluebirds in Alberta are now carrying both the colour of the sky on their backs as well as tiny, electronic devices that will track their migration all the way to their wintering sites and back. This summer with collaborators Biologist Myrna Pearman from the Ellis Bird Farm, Citizen Scientist Brian Biggs, and others, I began an inaugural tracking project to figure out just where Mountain Bluebird spend our Canadian winter, and how they get there. What we learn about migratory connectivity and important habitat used by bluebirds year round may give us something to Tweet about when the birds return next spring. Mike Symington of Calgary’s CBC joined us for field work in Alberta and produced a video – view it here. A Mountain Bluebird outfitted with a light-level geolocator that will track his migration to the southern U.S. or Mexico, and back (photo Kevin Fraser). What happens when migratory songbirds are not on time? Spring migration is like an ocean tide, flooding back northward until woodlands, parks and backyards are once again filled with the exuberant, liquid singing of migratory songbirds. The timing of migration also has a satisfyingly predictable ebb and flow; the countless trials and errors of individual birds over centuries are visible in the patterns we see today. If their timing is right, songbirds can avoid the harshest spring weather. They can get good places to nest, find their choice of mates, and enjoy the bounty of spring insects that they need to be successful parents. But new weather extremes and climate change may be disrupting these ancient patterns, causing birds to get out of sync with their environment. Figure 1. Purple martin perched at a North American breeding colony. Martins migrate 10 000-20 000 km annually between breeding sites and overwintering roosts in South America (photo by Kevin Fraser). Long-distance migratory songbirds, particularly those that migrate the furthest and feed on aerial insects (aerial insectivores), are showing steep population declines (State of Canada’s Birds 2012). There are likely many factors working in tandem to cause such declines, but could there be anything big and broad enough to affect all of these species at once? One likely culprit is climate change and new extremes of weather, which may be affecting the relationship between migratory songbirds and their food. Research with the Pied Flycatcher (Ficedula hypoleuca), a species that migrates between Europe and Africa, has revealed disturbing trends: as springs have become warmer over decades in Europe, the caterpillars preferred by Pied Flycatcher are available much earlier than they used to be. However, Pied Flycatchers seem to be missing the new dinner bell. Their migration timing has not changed much over the same time period, putting their arrival at breeding sites out of sync with peak caterpillar availability (Both et al. 2001). It is as if a dinner party’s time has been changed without your knowing, and when you finally arrive all the hors d’oeuvres have been eaten and everyone else is well through the main course. But, in the case of the Pied Flycatcher, the consequences of this mistiming are severe; they are declining the most sharply in locations where caterpillar peaks are the earliest (Both et al. 2006). These late arriving birds miss most of the food and are therefore less able to feed and fledge lots of young, which eventually results in population declines overall. Figure 2. Purple Martin equipped with a light-level geolocator (visible on lower back) that will track migration to South America and back (photo by Jerome Jackson). 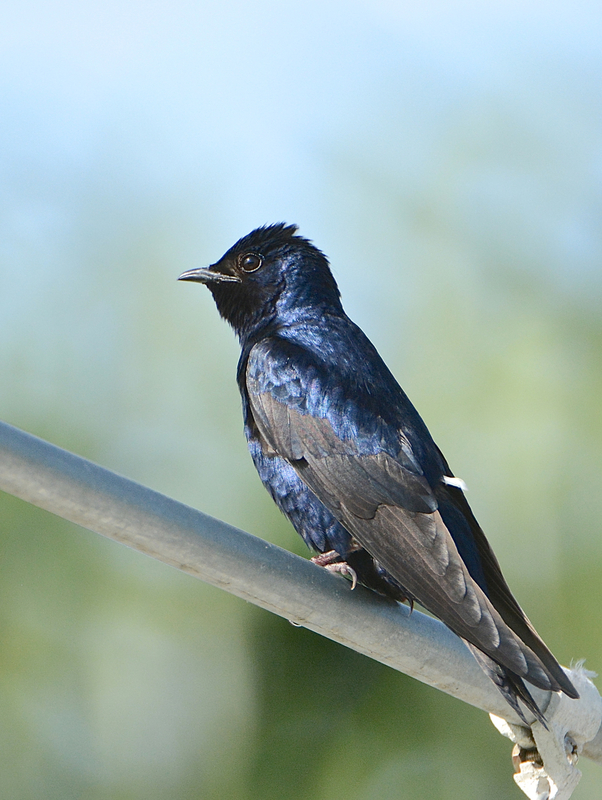 Much of my Liber Ero-supported research is focused on the Purple Martin (Progne subis) – an aerial insectivore that migrates between North and South America (Figure 1). On a decadal scale, we know that Purple Martin have been arriving earlier at their breeding sites as springs have been getting earlier (Zelt et al. 2012). But are martins changing their timing everywhere and are they doing it fast enough? Do individual martins have the flexibility they need to make adjustments in their year-to-year timing in response to changing climate and weather? Now that we have new tracking technology (geolocators) to follow the migration of individual birds (Figure 2), we have a unique opportunity to investigate how flexible martins are to different weather conditions they experience while migrating in spring. For example, did Purple Martin hear the early dinner bell in 2012, when spring was the earliest and hottest on record in eastern North America? If so, did they adjust their migration timing? We learned that the disappointing and short answer, is, no. We found that in 2012, martins did not depart earlier on spring migration from the Amazon, nor did they travel any faster than in previous years. They therefore did not arrive earlier at their breeding sites to match the advanced spring of 2012 (Fraser et al. 2013). Part of the issue may be that martins are not receiving the weather signals they need to be able to adjust their migration timing successfully. To better understand what a martin on migration experiences, we measured weather conditions all along migratory routes, from the Amazon all the way up to their breeding sites. This is something we could not do until geolocators enabled us to identify the specific routes and timing of individuals. 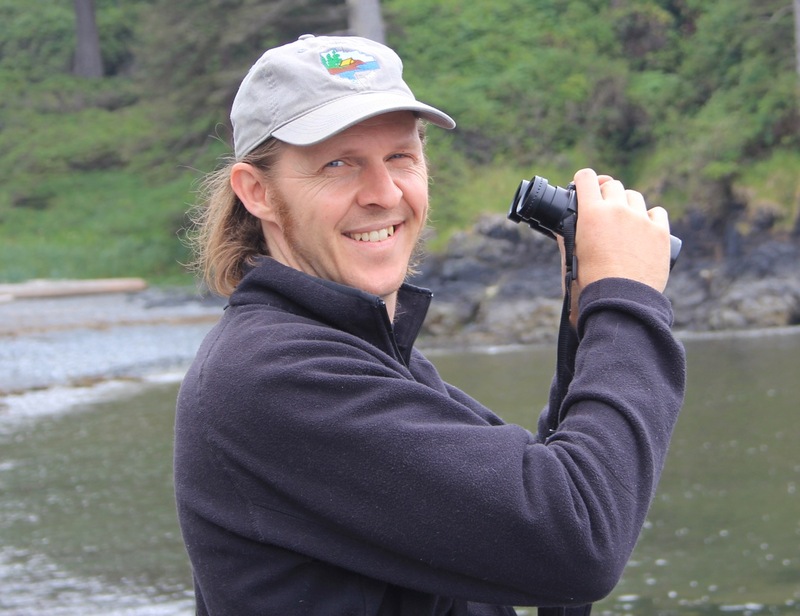 We found that temperatures were similar to previous years along much of the migratory route, and there was no indication of an earlier, hotter spring in 2012 until martins were back in North America and almost at their breeding colonies, thus they had little opportunity to hit the accelerator and arrive earlier (Fraser et al. 2013). So for martins, the insidious effects of mistiming could be contributing to population declines. What can we expect of Purple Martins this spring with one of the latest and coldest springs on record? Early reports note that breeding arrival dates are more than a month later in some areas this year. It may be that martins are able, or forced, to put on the brakes during cold weather but are unable to hit the accelerator with an advanced spring, as we found in 2012. The data we are gathering with collaborators across the range will help us to answer these questions and more, so stay tuned. We are now continuing to track martins with geolocators to measure directly how migration timing affects their ability to successfully raise young. This may not be the same each year and could vary widely by breeding location. Do the relative advantages of early or late migration change each year depending upon breeding location and the weather? Perhaps the wild variation in spring weather we have been experiencing in recent years will have bigger effects in some locations than others, which may help to explain the steeper population declines we see at the northern end of the breeding range for many aerial insectivores (Nebel et al. 2010, Fraser et al. 2012). We need to know these patterns so that we can better understand what is causing stronger declines in some places and prioritize effective conservation actions. My Liber Ero research is conducted in partnership with many organizations, including the Purple Martin Conservation Association (purplemartin.org). An extended version of this blogpost appears in the spring edition of their Purple Martin Update Magazine. What kills 25 million birds a year in Canada? The answer may surprise you. Every night this month, thousands of long-distance travelers pass overhead while we sleep. They are birds on fall migration, flying at night from their North American breeding sites to their winter homes in the tropics. Migration is one of the riskiest events in a bird’s life; however, we make it all the more dangerous by peppering ancient migration routes with tall towers and artificial lights. These birds have evolved to follow the stars to navigate to their winter quarters; when it is cloudy, the true stars are obscured, but the city lights below look very similar and disorient migrating birds. On cloudy nights, thousands of songbirds get ‘trapped’ by city lights, eventually either colliding with windows or falling exhausted to the streets below to be picked up by the local cats and gulls. A Toronto-based group called the “Fatal Light Awareness Program” (FLAP), has done pioneering work to alert the public to this issue, and to convince companies to turn off their office tower lights at night during spring and fall migration. However, tall night-lit towers are not the only threat to birds on migration. A recent study in the online journal Avian Conservation and Ecology by Machtans and colleagues (ACE) measured the impact of buildings on Canadian birds, and the results are surprising. They estimate that a staggering 25 million birds are killed in Canada every year through collisions with our buildings. The biggest contributor to these collision deaths are our houses! These account for 90% of the total annual mortality caused by window strikes. This amounts to 22.4 million birds killed by our homes per year! To put this in context, most (about 60%) of Canada’s songbird species have population sizes of less than 5 million (Partners in Flight). The second-biggest contributors to collision mortality, after residential houses, are the low-rise buildings where the majority of us spend our work day. These buildings account for about 10% of the total window-strike mortality, or about 2.4 million birds. These numbers reveal that this issue is not just a big city, downtown problem. It is an even bigger problem where most of us live and work. This fall migration, I am on a self-imposed, bird body-recovery duty on the university campus where I work. 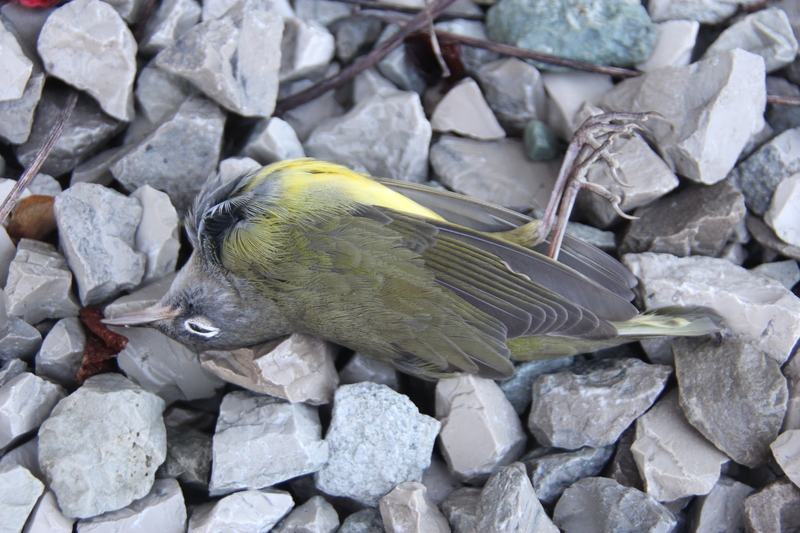 Each morning, I check for casualties of fall migration under the windows of campus buildings. I have found many more than I expected. Just around one building, I have collected 20 dead birds of 12 different species, including warblers, woodpeckers, sparrows and thrushes. And unfortunately, the death toll will likely rise as fall migration continues for another couple of weeks. Connecticut warbler killed by striking the window of my workplace on university campus. The morning of September 11, I found a small-scale tragedy. A rare and little-studied songbird, a Connecticut warbler (Oporonis agilis) lay prone on the gravel at the base of a window that interrupted its southward migration. It is estimated that 95% of all Connecticut warblers breed in the boreal forests of Canada, thus despite the misnomer, it is a truly Canadian bird, at least during the summer. In fall, Connecticut warblers migrate to South America where they spend our winter months; a total annual journey of more than eight thousand kilometers- impressive for a bird that weighs less than the two loonies in my pocket. My body bag for the Connecticut warbler is a Ziploc. I bag it and bring it back to the lab where it will be used to teach undergraduates in biology about anatomy and physiology, much like human cadavers are used to train medical students. The problem with low-rise and residential windows is not that birds are attracted to the bright lights; they are drawn in by the migratory stopover habitat they need to fuel up and continue their migration southward. Forest patches, fallow fields, and even ornamental landscaping can provide insects and fruit that birds need to power their migration. Molecules from the insect in your backyard may be burned as fuel when a bird crosses the Gulf of Mexico into the tropics. Problems arise when vegetation reflected in glass looks like the next good patch to find food. A hermit thrush (foreground) killed by striking a window reflecting nearby vegetation (left image) and a newly developed window film that disrupts surface reflections to reduce collisions (right image). The good news is that because it is our homes and workplaces that are having such a heavy toll on migratory bird populations, everyone has the power to help reduce the 25 million annual bird deaths by window strikes. The practice of sticking one hawk silhouette on the inside of a window is largely ineffective, but there are many effective ways to prevent window kills. Anything that visually breaks up the outside surface of a window and reduces its reflectivity will make our windows look to birds like the solid objects that they are. The FLAP website contains lots of tips and products for making the windows of your workplace (FLAP work) and home bird friendly (FLAP home). 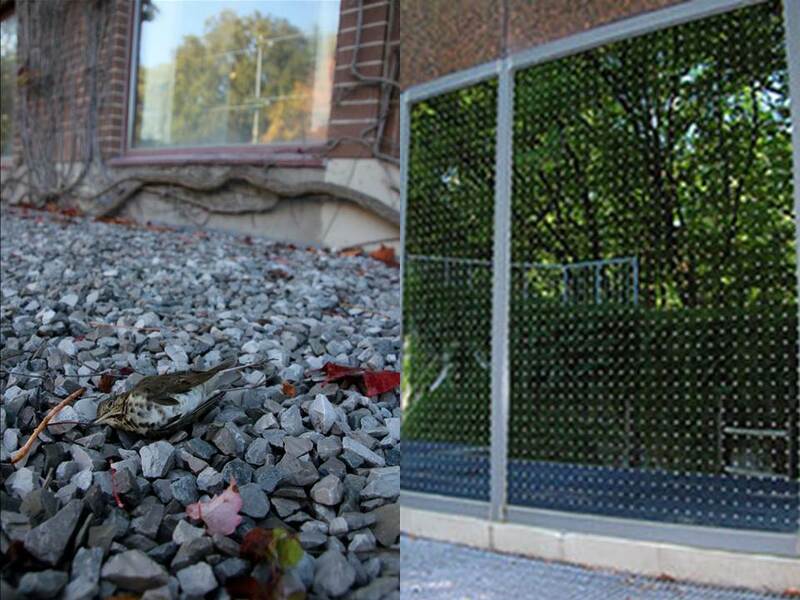 On York University campus, we are working to have windows outfitted with an exterior coating made up of small white dots (feather friendly) that break up the reflectivity that has duped so many songbirds this fall. We hope to have the first, bird-friendly building on campus, and later, the first bird- friendly campus in North America. Hopefully others will be inspired to follow suit. But, what happens to migratory songbirds when they leave North America? My Liber Ero supported research focuses on figuring out the routes and tropical overwintering locations of Canadian birds at risk. In future posts, I will report on what I have learned so far by using new technology to track individual birds on their long-distance journeys to the tropics.